Site Seeing is a new column that asks museum directors, curators, and other art types to highlight places—and artworks on view—in various cities. With the first opening day of Art Basel over (today is another VIP-only day) it is time for some of us to wander about this charming city of 170,000, which is filled with top-notch museums, remarkable architecture, and other jewels. There is almost too much to choose from, particularly when you consider the surrounding area. Matthias Grünewald’s 16th-century masterpiece, the Isenheim Altarpiece, is located a short train ride away in Colmar, France, and ditto for Le Corbusier’s Notre Dame du Haut in Ronchamp, as an art dealer reminded me yesterday. But what about the things you don’t necessarily know about? For those on the hunt for art experiences, a few Basel locals were kind enough to share advice about what to see while in town during the fair. Installation view of “Bacon – Giacometti“ at the Fondation Beyeler, Riehen/Basel, 2018. 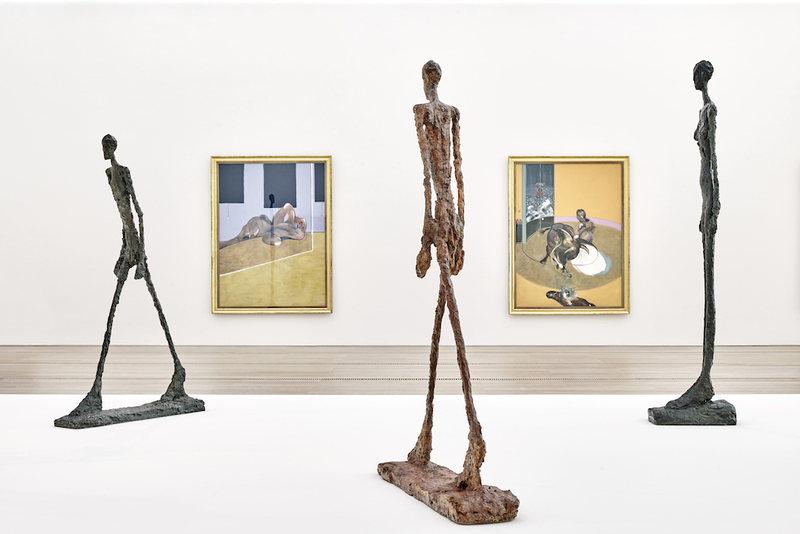 “Bacon–Giacometti” and “Beyeler Collection: Nature + Abstraction” are on view at the Beyeler for the next few months. One thing I’d suggest to see in Basel is the impressive Homme qui marche II by Alberto Giacometti. I love this sculpture not only because it is on the 100 Swiss francs banknote, but also because it stands for the eternal effort and struggle of human beings to move forward. It is an artwork that connects people through time and space. In our current exhibition “Bacon – Giacometti” one can even see the plaster and bronze version together for the very first time. This is truly spectacular and most probably unique. Exhibitions by Naama Tsabar, Rochelle Feinstein, and Rossella Biscotti are on view through July 15 at the Kunsthaus Baselland, with a project by Vittorio Brodmann running through the end of the year. Basel during the fair: so many exceptional and stunning artworks and exhibition experiences, and interesting people to meet—and never enough time for all of it. 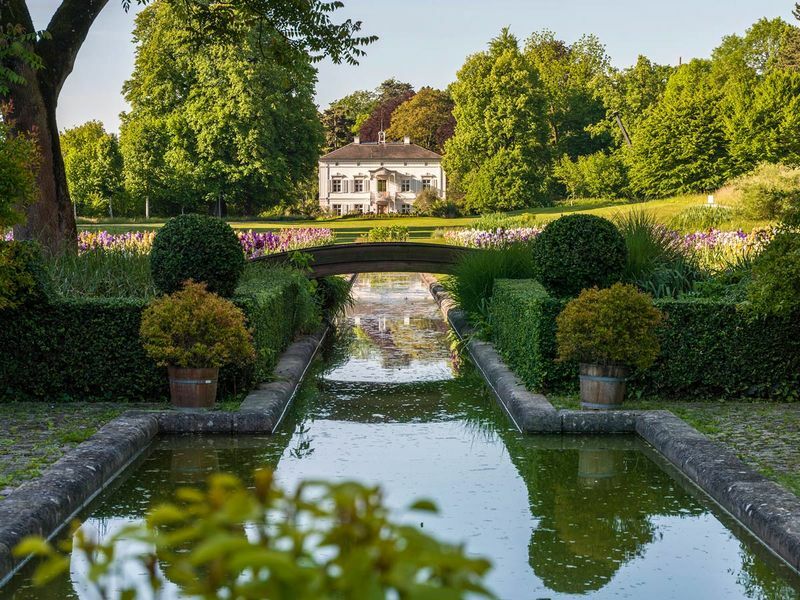 But there is a place where you can take a rest, drink and eat, breath and consider what you have perceived within all these days, while being surrounded by nature and contemporary sculptures: the Merian Gärten. On your way between the Schaulager and its fundamental solo show by Bruce Nauman, the Kunsthaus Baselland, the Campus der Künste with the University of Art and Design, several exhibitions, artists’ studios, and contemporary architecture, you will find this place within walking distance. Art is not about running from place to place but for feeling yourself present in in the world. The river Rhine with a boat attached to a cable off in the distance. 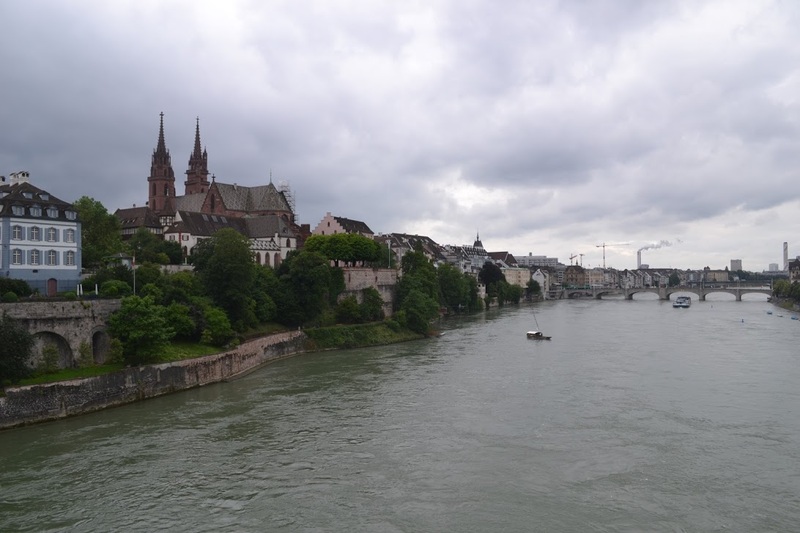 Besides art and culture, there might be just one thing that the people of Basel love even more: the river Rhine. 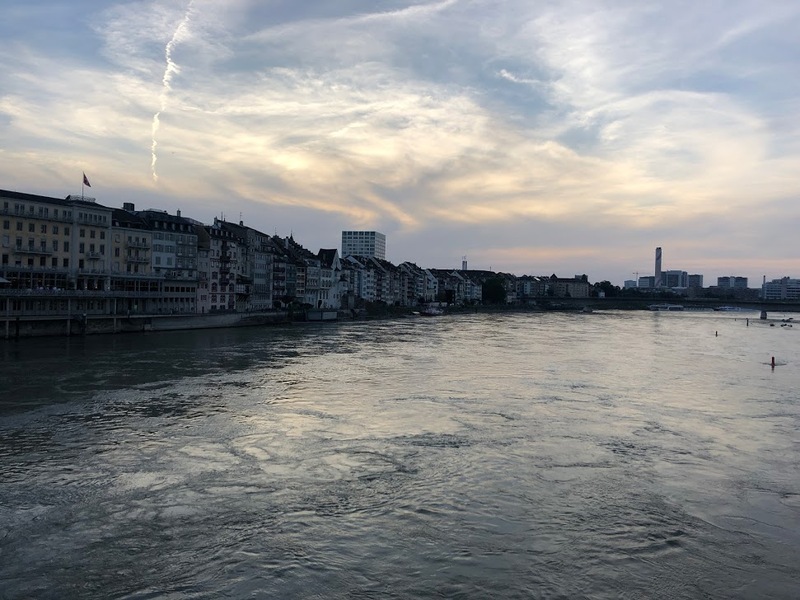 And if you have been to Basel, you’ve probably already crossed it at least once with one of the small ferry boats that are so particular to the city. They have no motor and are powered by nothing more than the river’s natural current and a steel cable that runs across the width of the river, an age-old method that still is in operation today. But what most people probably don’t know is that in the second half of the 1800s, when the institution that I direct—Kunsthalle Basel—was first built, these boats were run by artists and members of the Basel Art Association. The story goes that half of the money raised for the construction of the building came from the income generated by those little ferry boats, and then much later, in the 1950s, when the building needed major repairs and the institution had some financial difficulties, they sold off the last controlling interest in the boats to be able to save it. So we do have those little boats to thank for Kunsthalle Basel’s existence today! 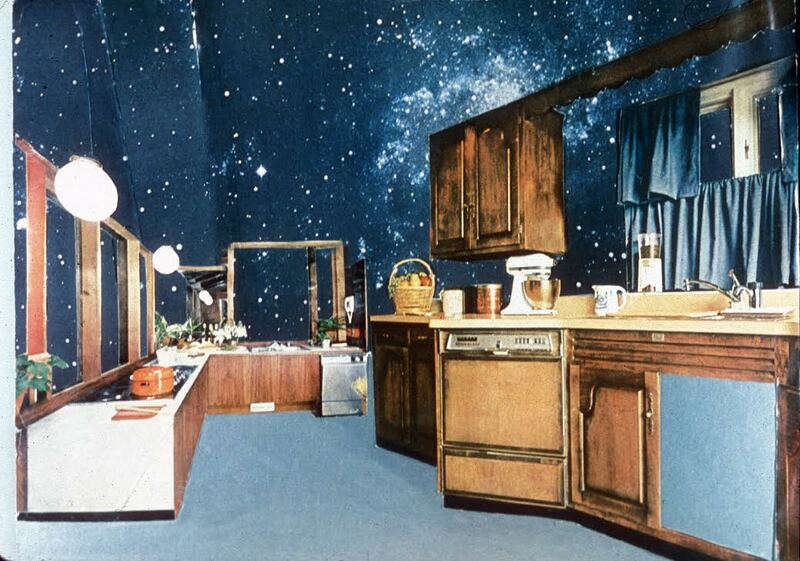 Martha Rosler, House Beautiful: The Colonies, COSMIC KITCHEN, 1966–1972, c-print. Exhibitions by Sam Gilliam, Maria Lassnig, Theaster Gates, and Hito Steyerl and Martha Rosler, whose work is highlighted below, are among the exhibitions running at the Kunstmuseum for the next few months. Like “House Beautiful: Bringing the War Home,” the photo-montages in Rosler’s “House Beautiful: The Colonies” series are made using picture features and advertisements from various interior design, lifestyle, and news magazines. This time, it is early pictures of the universe and the surface of the moon that merge with the private interiors and urban back-drops. The series was made in the years around the first moon landing as part of America’s Apollo Program, and it plays with the conquest fantasies of a nation that no longer wishes to be restricted to the earth, pursuing a vision of the colonization all of the universe. Pictures like that of the smart American fitted kitchen in the middle of the Milky Way or gridlocked traffic crawling over the dusty surface of the moon also reflect the function of space travel in the context of the arms race then taking place with the Soviet Union—as well as being highly topical considering the state of the world today.